Are you caring for both children and parents at the same time? If so, you’re part of the “sandwich generation.” Adults in this group have at least one senior parent and are either raising a minor child or supporting a grown child1. As the first wave of baby boomers moves into retirement, the ranks of the sandwich generation are swelling. A new retirement study from Scotiabank2 shows that baby boomers are concerned about assisting their aged parents and their adult children—and how that responsibility will affect their retirement cash flow. The sandwich generation is pulled in many different directions. Balancing the needs of children and parents can put demands on your time and your emotions. It can also exact a significant financial burden. On one hand, you balance rising post-secondary education costs for the younger generation; on the other hand, you have rising medical costs for the older generation. The sandwich generation must also try to save for their own retirement, pay off their mortgages, etc. How do you deal with the financial toll? Start the Conversation: Money is a sensitive topic for many families, but beginning open discussions with your parents about their finances can be beneficial in the long term. After all, it’s often easier to talk about money before the need arises. In addition, you and your parents might find that it is less difficult to discuss financial matters with your Cardinal Point advisor, who can offer a neutral setting and objective advice. It’s important to review the following items: your parents’ retirement income, monthly expenses, insurance policies, health care coverage and estate plan. A thorough review can give you a better idea of the assistance (if any) that your parents will need from you, and then you and your Cardinal Point advisor can map out a plan. A Leg Up for the Future: Those who belong to the sandwich generation are also trying to prepare for rising tuition costs. Our experts can help you select the right education savings plan to meet those costs. It’s also important to introduce strategies that empower your children to have a stake in their financial future. Encourage your kids to pitch in to their own education savings by offering to match what they put away for their education. In addition, make sure they’re prepared to have some savings to cover any unexpected expenses. 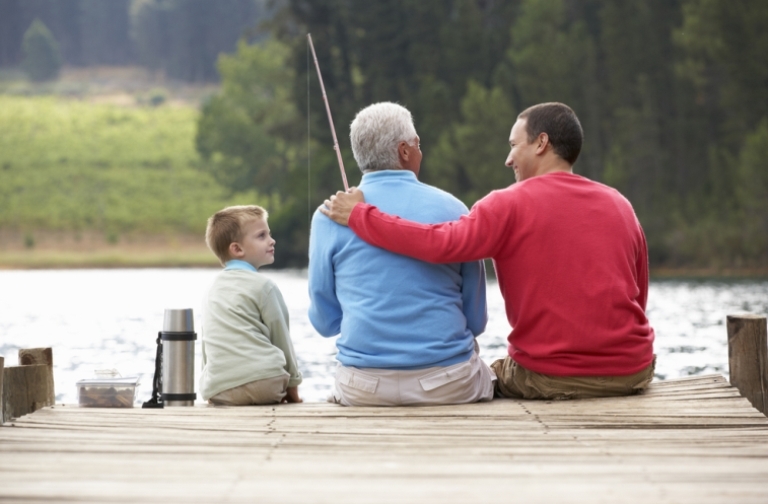 Don’t Forget About You: When fulfilling the needs of multiple generations, it can be easy to put your own requirements last. However, doing so could compromise your own financial well-being and your ability to care for those who depend on you. It’s important to look after yourself by exercising, getting enough rest and taking time to recharge. In the face of all your goals and obligations, it’s also essential to partner with your financial team to ensure you stay on course in helping your kids, your parents, and yourself. 1 “The Sandwich Generation: Rising Financial Burdens for Middle-Aged Americans.” PewResearch. January 2013. 2 “The Retirement Landscape — A Focus on the Baby Boomer.” Scotiabank. June 2014. Financial Planning for Canadians Moving to the U.S.
Did you leave your heart in San Francisco? Is the Big Apple calling your name? Perhaps you are bound for Austin, Texas, the “Silicon Valley of the South.” If the U.S. is your destination—and you plan to stay for a while—there are critical steps to take to ensure your short- and long-term financial well-being. Canadians moving to the U.S. may view the similarities—language, customs, culture and even cuisine—and imagine a seamless move. What many people don’t realize is that, in terms of investments and taxation, the two countries are very different. As you plan your move, make sure to have a financial plan in place. Many people think of “financial planning” as something to do after having made one’s fortune. In fact, having your financial house in order makes sense no matter where you are in your life, and it’s especially important if you are preparing for a cross-border move. Start where you are. First things first, take an inventory of your finances in Canada: your bank accounts, credit cards and savings accounts including: Registered Retirement Savings Plan (RRSP), Registered Retirement Income Fund (RRIF), and Tax-Free Savings Account (TFSA). The rules governing the use of these accounts are different for non-residents. For example, a non-resident’s contribution to a TFSA would be subject to a monthly penalty. Because these rules are complex, expert help can prevent you from simple, yet expensive mistakes. Plan the transition. As soon as possible, apply for a Social Security number in the U.S. You will need this to work, open a bank account and even to apply for credit. On the topic of credit, find out whether your Canadian credit cards will charge you a fee on transactions made in the U.S. You may wish to apply—before you move—for a card provided by a company that does business in both Canada and the U.S.
Buying health insurance is another important part of the transition from living in Canada to living in the U.S. If you do not have employer-provided health benefits, you can shop for the coverage that best suits you and your family. Legally, you must have health coverage or face penalties (not to mention costs of care, which can be very high in the U.S.!). Stay on top of things. There’s an old saying, “Out of sight, out of mind.” It’s up to you to keep your financial picture in focus—even when aspects of it are thousands of miles away. Working with a financial planner is the simplest way to keep track of your accounts and to stay informed of your tax liability. The right advisor will work with you to let you decide how often you want to be contacted. It’s better to hear about changes in policy and tax laws before they affect your finances, back home or in the U.S.
Financial security is a cornerstone of freedom. When you know that you have the best information available about how to handle the money you make, and have taken care to protect yourself from being taxed twice on the same income, you can enjoy the wealth you are working so hard to create. No one expects you to be an expert on one country’s tax laws, let alone two. At Cardinal Point Wealth Management, our cross-border expertise can help keep you in the know about your Canadian and U.S. tax liability and your investments. Our experience on both sides of the border lets us provide you with the information you need, for your big move and every move after that. John McCord is the Director of Private Wealth Services at the Cardinal Point, a cross-border wealth management organization with offices in the United States and Canada. John specializes in providing Canada-U.S. cross-border financial, investment, tax, transition, and estate planning services. This piece is for informational purposes only. Is your Canadian company considering expanding its presence to the U.S.? Whether setting up an office across the border is your first foray into international expansion or a single aspect of your globalization plan, the complexities of U.S. business regulations require careful planning and meticulous attention to detail. Establishing an international presence is an important step forward for many companies—one that can open doors to new markets, supply chains, and capital & local expertise. Becoming a global corporation sends a message that your company is growing in scope and relevance. If the time has come for your business to establish a division in the U.S., we are here to help make that process seamless. Setting up shop in the U.S. involves much more than leasing an office. One of the first considerations is what type of legal entity to form: this will affect every aspect of your operation across the border so it’s worthwhile to explore your options with an expert. Once you have decided on the type of entity, you will be better prepared to choose where to locate; the 50 states offer varying incentives depending on your industry. Furthermore, some states offer tax incentives to companies that “go green” by taking specific steps to protect the environment. Whether your firm sets up in the Big Apple or Silicon Valley—or anywhere in between—you will contend with a mix of state and federal regulations that govern employment, banking and taxes, along with considerations unique to Canadian companies with a branch or branches in the U.S. From the earliest planning stages, establishing a business presence in the U.S. requires taking all the right steps in the proper order. Assessing the costs of establishing and maintaining a presence in the U.S.
Congratulations on growing your business to the stage at which you’re considering this step. You have no doubt made investments of time, talent and treasure to get this far. As you move forward, an informed, expert strategy with your best interests at heart will protect you and your Canadian business in the long run. The value of peace of mind? Priceless. A frequent question we hear from Canadians thinking of a move to the U.S. is this: What will be the tax consequences for my Canadian investments? Let’s look at a case study to see how this plays out. Meet Diane, a Canadian client who is moving to the U.S. for a job opportunity. As we help Diane plan with her cross-border transition, she has questions about what to do with her Canadian investments. Should she use her sister’s Canadian mailing address for her Canadian investment accounts? What are her tax obligations to the Canadian Revenue Agency (CRA) after she leaves Canada? For starters, we recommend that Diane change her mailing address to her U.S. residence and not a Canadian relative’s address. Once she leaves Canada and sets up residential ties to the U.S., Diane is deemed a non-resident of Canada. As such, she must notify her Canadian financial firms of her non-residency status for tax purposes and also establish that her current country of residence is the U.S. This helps ensure that the proper amount of Canadian tax will be deducted from her investment earnings. But what about interest income generated fromhttp://cardinalpointwealthmanagement.blogspot.com/ Canadian holdings? Such interest is typically exempt from Canadian withholding tax if you’re a non-resident and the payer isn’t related to you. In Diane’s case, the Canadian institutions from whom she receives income must deduct tax from the income paid to her, generally at a non-resident tax rate of 25% on Canadian income, but this can vary according to the source of income. This deducted tax fulfills her tax obligation to CRA for this income, and it is not necessary to report the income by filing a Canadian tax return. If you’re a non-resident of Canada and have concerns about the tax consequences for your Canadian investments, the cross-border experts at Cardinal Point Wealth Management are here to help. Terry Ritchie is the Director of Cross-Border Wealth Services at the Cardinal Point, a cross-border wealth management organization with offices in the United States and Canada. Terry has been providing Canada-U.S. cross-border financial, investment, tax, transition, and estate planning services to affluent families for over 25 years. He is active as an author, speaker and educator on international tax and financial planning matters. As cross-border specialists, one of our key concerns in working with each client is the question of citizenship. This is especially true for estate planning, as developing a plan without taking into account citizenship could have dire tax consequences and create hardship for a surviving spouse. According to current estate tax law, an immediate tax can be enforced on assets passed to a spouse who is a foreign citizen. Cross-border estate planning plays an important role in preventing a hefty tax bill due to these U.S. estate tax rules. If you’re in a similar situation, here’s what you need to know. When we work with a married couple to develop an estate plan, one of our key goals is to preserve and protect assets for the surviving spouse and children. Fortunately, with advanced planning, federal estate taxes can often be reduced or avoided. Currently, if you die with a taxable estate worth over $5.34 million, the IRS can take 40% of the excess. One common approach to avoid this federal estate tax rule is to give away some of your assets to children and grandchildren upon your death, either directly or through trusts, with the remainder going to your surviving spouse. You can bequeath an unlimited amount to your spouse free of federal estate taxes—as long as your spouse is a U.S. citizen. You can also gift away an unlimited amount to your spouse before you die without incurring a federal gift tax if he/she is an U.S. citizen. This ability to make unlimited, tax-free wealth transfers to your spouse is known as the “unlimited marital deduction.” This privilege is an essential part of many estate and gift tax planning strategies. Unfortunately, traditional estate tax planning strategies that work for most married couples—such as the unlimited marital deduction—are not available when one spouse is not a U.S. citizen. In 1988, the U.S. Congress eliminated the unlimited marital deduction for when a U.S. citizen spouse passed property to a surviving non-citizen spouse. This has resulted in a significant dilemma and substantial federal estate tax rates for those leaving assets to a spouse who doesn’t hold U.S. citizenship. Further, when the marital transfer rules changed, a new rule was also introduced that limits the annual transfer of assets directly to a noncitizen spouse without incurring any tax. Let’s look at an example to see the impact this would have. Let’s say a U.S. citizen husband passes away, leaving $5.34 million to his children and the remaining $1.5 million to his non-citizen wife. Given the $5.34 million federal estate tax exemption, the amount left to the children is free from federal estate taxes; however, the $1.5 million left to the non-citizen spouse is not exempt. What’s the damage? $600,000 ($1.5 million x 40%) in federal estate taxes! Let’s say the husband leaves his entire estate worth $6.84 million to his non-citizen wife. The federal estate tax is still $600,000 because the initial $5.34 million is protected by the federal estate tax exemption. Another problem that arises is that U.S. assets bequeathed to a surviving non-citizen spouse using the estate tax exemption may still be subject to estate taxes upon the death of that non-citizen spouse. This is because a non-citizen spouse who is not “domiciled” in the U.S. will only have a $60,000 lifetime exemption instead of the $5.34 million exemption. What are some estate planning options if you or your spouse don’t qualify for the unlimited marital deduction? Let’s return to our example. For starters, our married couple could take steps to have the wife become an American citizen before her husband’s death. Another alternative is to set up a Qualified Domestic Trust (QDOT), which would enable our couple to defer the estate tax until the death of the surviving non-citizen spouse. How does it work? A QDOT allows for assets to be held in trust for the noncitizen spouse without incurring an estate tax, thereby putting off taxation until the spouse’s death or assets are withdrawn. This would also provide an annual income stream for the wife and allow extra time for her American citizenship to come through. Under the Canadian Income Tax Act, a properly structured QDOT can also qualify as a spousal trust. If certain qualifications are met, another cross-border approach we take with our clients is to look at the marital credit of the U.S./Canada Tax Treaty. It’s important to note that this route and the QDOT option cannot be used together. Another consideration is to introduce a gifting strategy where the husband gifts property to his wife; as much as $145,000 per year would be allowable as a tax-free transfer under current tax law. Such gifts can help reduce the amount of assets passed to a non-citizen spouse and also help mitigate tax issues down the road. In addition to these options, there are a number of cross-border planning approaches that can be established in advance as part of a total financial planning process. Life insurance, real estate and retirement plans should all be examined to look at opportunities to protect assets from taxable events upon death. We advise families that a careful, advanced planning approach is the key to avoiding potential pitfalls when a spouse is not a U.S. citizen. After all, one of our most essential roles as an advisor is to help minimize the negative impact of estate taxes for a family and a surviving spouse dealing with the loss of a loved one.